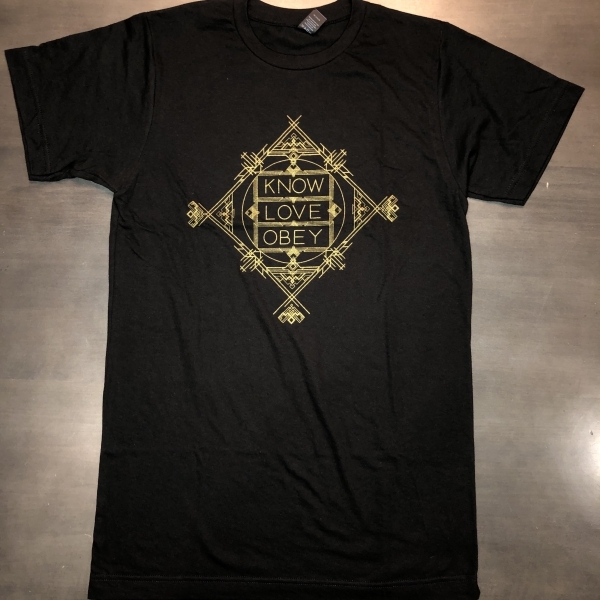 The Know, Love, Obey T-Shirt is available in both black and grey. This shirt has the logo on the front and the church’s mission statement on the back. Shirts are all in Men’s sizes only.